Buying a home is one of the biggest purchases you will ever make. Being prepared will make the process easier and help you make educated choices. The home-buying process may sometimes seem complicated and it is normal to not know where to start. These seven steps will help you navigate the process and become a homeowner. Do you have the money to put toward buying a new home? First, see how much money you have to put towards buying a home. Il you have at least 20% of the purchase price, you may be eligible for a conventional mortgage. You will then save on mortgage insurance costs. If you have less than 20%, the law requires you to have mortgage insurance. The amount of the premium will vary based on how much you put down. Where will the money come from? Your down payment may come from your savings, your investments, an inheritance or a donation. You can also use your RRSP, through the Home Buyers' Plan (HBP). With the HBP, you can withdraw up to $35,000 from your RRSP to put toward a down payment, subject to certain advantageous conditions. Try our borrowing capacity calculator to determine the maximum amount you can borrow for your mortgage to buy your new home. Remember to include your down payment, it will have an impact on your borrowing capacity! You can also use our mortgage payment calculator to determine the amount of your mortgage payments. You should consider all expenses related to the purchase of your home. Will you have to renovate? Remember to include these costs in your overall budget. Mortgage transaction-related costs, land taxes, moving costs, insurance costs and electricity must also be considered. There is a vast range of mortgage products. To help you choose wisely, you can work with a mortgage broker. A mortgage broker will help you through the process and provide guidance to help you choose the product that best suits your needs. You can also contact one of our advisors. 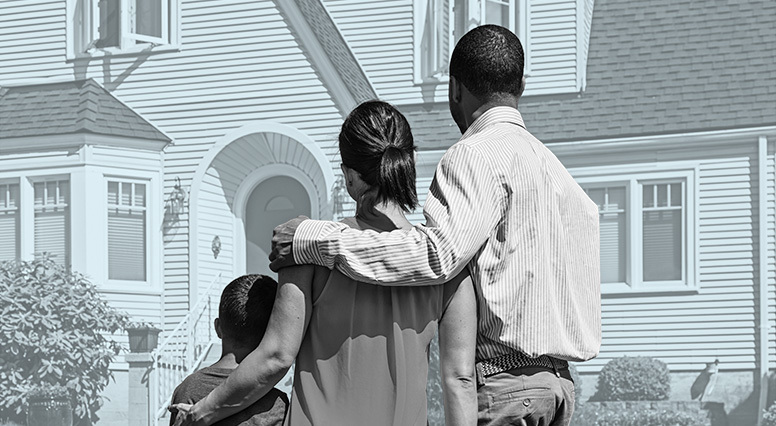 Visit homes that meet your needs and your financial situation. In addition to considering the financial aspect, create a list of important features and make sure you respect it. Have you found your future home? Now’s the time to make an offer. The offer to purchase includes all the information needed to make the sales agreement. Remember to include your conditions, such as an inspection, financing approval, inclusions, possession date and required renovations, as needed. Your real estate agent or your legal representative will draw up the offer. By getting your financing approved a head of time, you have the flexibility you need to negotiate the purchase price of your home. This will help you better determine what latitude you have to make decisions. You will gain credibility and increase your negotiating power if the seller makes a counter-offer. Has your offer been accepted? Now is the time to have the home inspected to determine its exact condition, identify potential issues and avoid nasty surprises. Once the inspection is completed and turns up nothing, and you are ready to buy the home of your dreams, your mortgage broker will contact your financial institution to have your mortgage financing approved. Now it’s time to see your legal representative to finalize the transaction. You should anticipate two appointments: one to sign the mortgage agreement and another to conclude the purchase of the home. You are now a homeowner. You can pack up your stuff, move into your new home and enjoy your purchase.